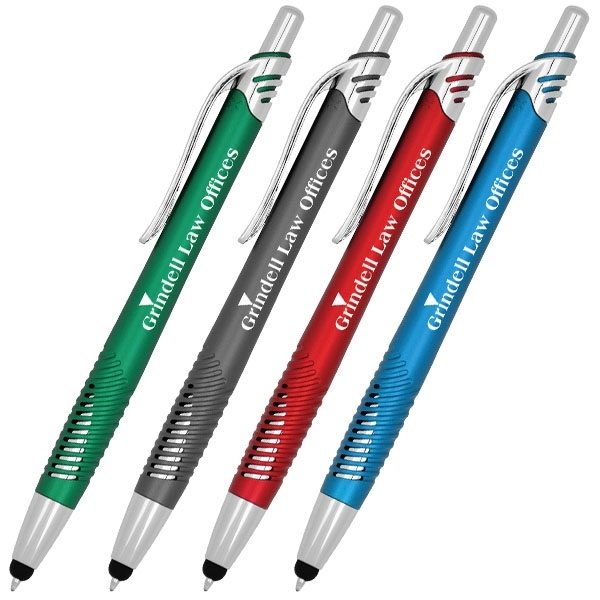 Stylus click pen with textured grip and a satin finish barrel. Black ink. Patent: #D817, 402.